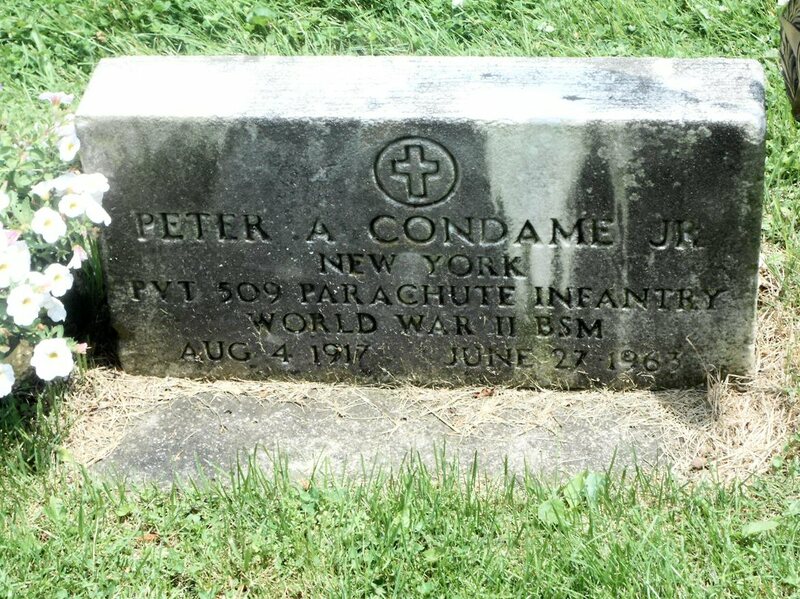 Death certificate and grave marker for Peter A. Condame Saint James Cemetery, Waverly (Tioga county), New York. 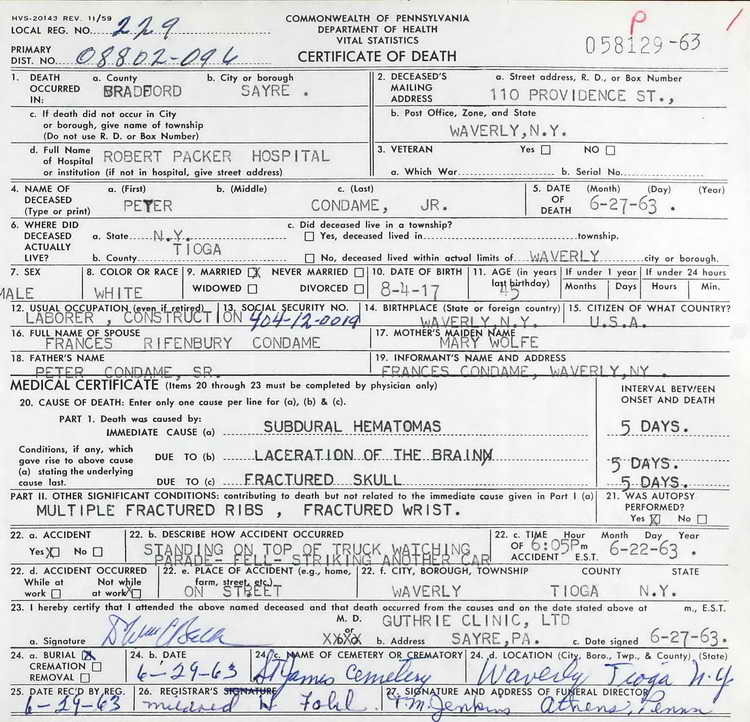 Peter enlisted in the Army at Binghamton, NY on 18 February 1943. On 6 August 1943, Pvt Condame was transferred from the Parachute School to Company D, 508th PIR. But on 2 September 1943, he was transferred from the 508th to the 990th Reassignment Station. Based on his grave marker inscription, he was subsequently transferred to the 509th PIR. Peter suffered a fractured skull and multiple broken bones when he fell from the top of a truck while watching a parade. He succumbed to his injuries, including subdural hematomas, five days later.